Q: How should I format my application images? A: Your images should be JPGs, RGB, 72 ppi, and no larger than 2,000 px on the longest side. The images should be named using our “LastName_FirstName_01.jpg” format, where the numbers (01, 02, 03, etc…) correspond directly to your image script. If you’re applying for an Artist’s Book Grant, then you should label a CD or flash drive and follow the same formatting scheme. WSW reserves the right not to review CDs that are formatted improperly. Q: What is the image script? A: The image script should correspond directly to your application images. So, if you have an image named “Doe_Jane_01.jpg” then your image script should have an entry for “01” with that image’s title, medium, dimension, and date. The image script should be a Word document or PDF. Do not send Powerpoint presentations, movies of any kind, or slide shows. Q: I’m currently a student. Can I apply? A: Our residencies are limited to artists who are not currently enrolled in an academic program. Q: I’m not based in the US. Can I apply? A: Yes. We host international artists very often. The only residency you’re not eligible to apply for is the Ora Schneider Regional Grant. Q: Can I apply for more than one residency? A: Of course, but please bear in mind that not all residencies have the same requirements. If you plan to apply for multiple residencies, then you should submit an application for each. This also applies to the Artist’s Book grants. You must submit two physical applications to be considered for both residencies. A: Most jury panels are composed of an outside reviewer and past grantees. For the Studio and Legacy grants, a past resident and WSW’s most recent Gala honoree select the recipients. WSW’s Artistic Director, Erin Zona, oversees the jurying process. Q: Can I break up the residency and do it in parts? A: Preference is given to artists who are willing to work full-time over one residency period. Q: How much technical assistance will I receive as a grantee? A: Staff will check in with you daily to evaluate the type and amount of help you need. Our goal is to provide you with the assistance necessary to complete a high-quality project in a timely fashion. Q: What if I don’t know how to perform a process that I’d like to use in my work? A: We’re generally able to teach you whatever you need to know. We do, however, expect you to have basic knowledge of at least one major component of your work. Q: What do you mean by “structural dummy” for the Artist’s Book grants? A: The structural dummy is a 3D version of your book proposal. It exemplifies the binding and structure of the book that you intend to produce. We also ask that you include one to two full spreads, so that we can get a better idea of the final product. Suffice it to say, we want a very strong idea of your final product, and know that it is generally not possible to produce a complete mock-up for the proposal. Q: I know nothing about binding. Can I still apply if I have a great idea for a book? A: Yes, but make it clear in the application that you will need our advice and help when it comes to the binding portion of your project. Q: Can I print my book digitally? A: You may incorporate digital printing into your project, but keep in mind that a percentage of your project must be hand printed. This means that hand printing must come into play at some point in the production. We are not looking for a concrete percentage. Q: Can I bring my partner, child, pet, etc.? A: No. With exception to the Parent Grant, these residencies provide time for you to focus on your work. A: Not necessarily, as WSW staff and interns can take artists grocery shopping, but having a car around here definitely helps. We also have bicycles available for rides around the countryside, on the adjacent Rail Trail, or to town. 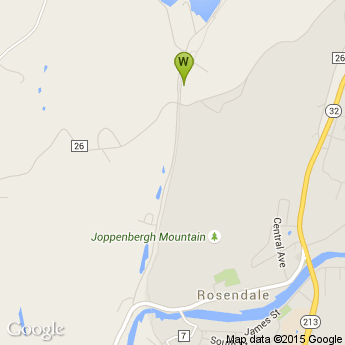 The town of Rosendale is less than two miles from our studios. Q: What kind of basic technology will be available to me? A: We have wifi throughout the studios and plenty of desktop computers for use after 5:00 pm. An iMac and scanner are also available upon request. Please note that cell service is very touchy. In most cases, only Verizon phones work in the immediate area. We also have landlines available for use, but please bring a phone card if you plan to call long distance. Q: What does WSW expect of residents? A: All residents should prepare a 15-20 minute artist’s talk. We also encourage all of our residents to join us for daily potluck lunches, which are a great opportunity to engage with staff and fellow resident artists. Q: What’s the community like at WSW? A: We’re located on a rural road about a mile from the Village of Rosendale. It’s quiet here. Every day, we gather at 12:30 for potluck lunch with contributions that range from gourmet to super simple (i.e. cheese, bread, jello). The selection is generally vegetarian friendly, and those with other dietary restrictions can be accommodated. Usually, 10-20 artists and staff share lunch together. In the studios, interns work with artists or with staff on special studio projects. It’s common for local artists to rent the studios, and for volunteers to be working in various areas throughout the building. A: Rosendale is a small town. One side has a creek; the other has a very steep hill, so there’s no sprawl, just a somewhat funky Main Street. It is an extremely artist-friendly town. We have an active theater collective that presents live, original theater twice a month, as well as art films, documentaries, and mainstream movies. There are three venues that present live music weekly, a gourmet cheese shop, a bakery, and a few specialty shops, and yoga, massage, and acupuncture practitioners. Q: How should I submit my letters of reference? A: If your reference sources are comfortable giving their letters directly to you, then you can simply upload the letters with your other application materials. Letters can also be sent directly to us via this Submittable category. If they’re sent directly, please make sure that the file is a PDF or Word document, and the name is formatted as such: LastName_FirstName_Position.pdf. Q: Can I apply for multiple internships? A: Of course, but please submit an application for each position, and make sure that your letters are tailored to the different opportunities. You may also need to ask your recommendation sources to tailor their letters. A: I’m still in school. Can I apply for an internship? Q: You can apply as long as you won’t be enrolled in an academic program at the start of the internship. Summer interns can still be in school, but cannot be taking summer classes during the term. Q: Can I intern part-time or reduce the length of the internship? A: No. We’ve carefully structured our internships to create a mutually beneficial program. If you know that you cannot complete the full internship term, then please apply for the next round. A: Unfortunately, due to work visa requirements, we are unable to offer our internships to international candidates. Q: I’m applying for the Nonprofit Management and/or Summer internships, but I don’t have a strong arts background. Do I still need to include images of my work? A: Not necessarily. If you would like to include work, then please do, but we do not base our decision on artistic work or skill. Depending on the application pool, however, preference may be given to those who have an active knowledge of WSW’s studio disciplines. Q: How are interns selected? A: The Studio Manager and Executive & Artistic Directors select studio interns; the Ceramics Studio Manager selects ceramics interns; and the Managing and Executive Directors select Nonprofit Management interns. Recommendations from past employers and teachers carry a great deal of weight in the selection process. Q: Where, exactly, will I be living? A: You’ll live in one of the single-occupancy rooms in our Anne Atwood Artists’ Housing. Atwood is located two doors down from the studio, and has a living room, dining room, kitchen, 1½ bathrooms, two porches, ample storage space, and a washer with several clotheslines. The house is equipped with most necessities (pots, pans, utensils, furniture, etc…). You’ll receive all the details if awarded an internship. Q: Can my friends visit? A: Friends are welcome at Atwood during daylight/evening times, but overnight guests are strongly discouraged. In order to keep traffic to a minimum, we ask that no more than one overnight visit happen per month. Visit length should be one overnight stay. If you plan on having someone visit, be sure to ask your housemates (both interns and artists) to make sure that they don’t mind, or that it doesn’t conflict with other visitor plans. A: No, but you’ll have a better experience if you bring one. We do have bicycles available for rides around the countryside, on the adjacent Rail Trail, or to town. The town of Rosendale is less than two miles from our studios. Q: Do I need to bring examples of my work? A: Interns should prepare a 15-20 minute artist’s talk, for which physical samples are welcome but not required. A: We have wifi throughout the studios and at Atwood, as well as plenty of desktop computers for use after 5:00 pm. An iMac and scanner are also available upon request. Please note that cell service is very touchy. In most cases, only Verizon phones work in the immediate area. We also have landlines available for use, but please bring a phone card if you plan to call long distance. A: We’re located on a rural road about a mile from the Village of Rosendale. It’s quiet here. Every day, we gather at 12:30 for potluck lunch with contributions that range from gourmet to super simple (i.e. cheese, bread, jello). The selection is generally vegetarian friendly, and those with other dietary restrictions can be accommodated. Ususally,10-20 artists and staff share lunch together. In the studios, interns work with artists or with staff on special studio projects. It’s also common for local artists to rent the studios, and for volunteers to be working in various areas throughout the building. A: Rosendale is a small town. One side has a creek; the other has a very steep hill, so there’s no sprawl, just a somewhat funky Main Street. It is an extremely artist-friendly town. We have an active theater collective that presents live original theater twice a month, as well as art films, documentaries, and mainstream movies. There are three venues that present live music weekly, a gourmet cheese shop, a bakery, and a few specialty shops, and yoga, massage, and acupuncture practitioners.